Designed by umpires and made for umpires! 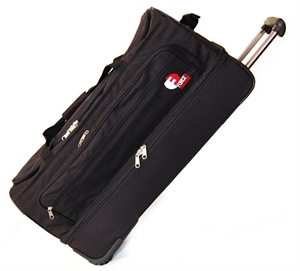 This ultimate equipment bag is simply the finest on the market today! Red-designed from the original equipment bag, the new Force3 Pro Gear bag has updated zippers, corner protectors, rugged wheels, new internal structure changes, a larger outside pocket, and a protective fabric between the wheels protecting the bag while you roll! Features a 32″ x 15″ x 9″ compartment on top for all your equipment and a 6″ deep separate zippered bottom compartment for all of your clothing and uniforms underneath. 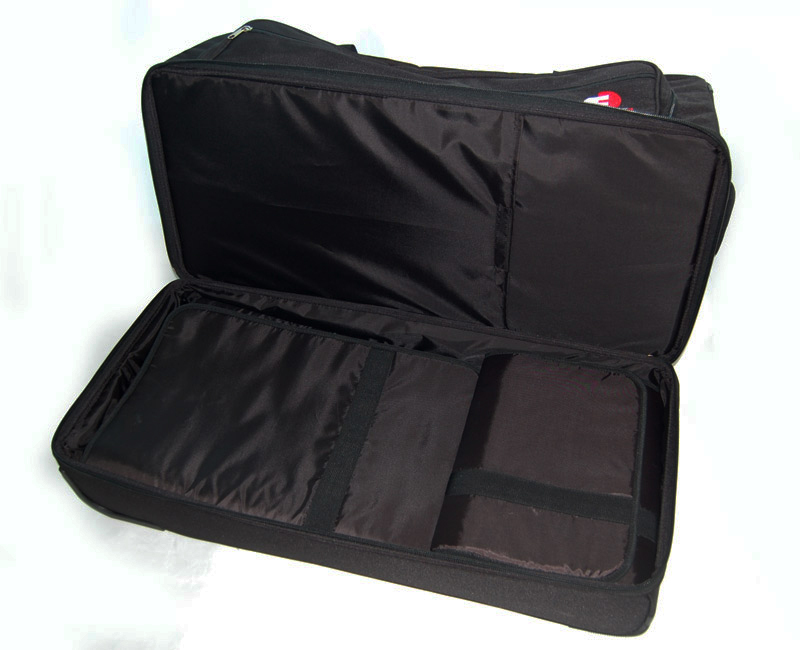 The bottom compartment features two elastic straps to help keep your clothes organized and in place. 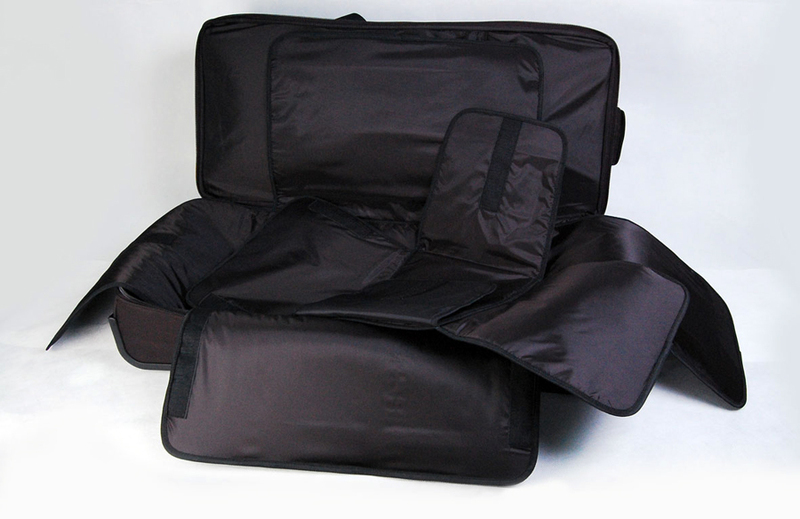 This bag conforms to all airline specifications for checked luggage with a 62″ maximum allowance. As a bonus, we are including two custom made “folding” bags that fit perfectly side-by-side in the bottom compartment, keeping your uniforms looking like you just picked them up from the dry cleaners! One small bag is for shirts and the other for pants. The two folding bags retail for $25 – $40 each, but are included at no charge with this bag.